In part one of this blog series, we discussed the changes we’ve made before Food Fight’s potentially final update. This blog will be a retrospective view of the major tasks and complications that were addressed in the game since its inception. Food Fight started as Opioid Blast, a game where the player battles opioid addiction by blocking or knocking away pills and pill bottles. It was found that this would not be an effective tool for addicts and, instead, the decision was made to apply the same concept to food. Opioid Blast included power-ups and an item homing system that made its way into Food Fight. 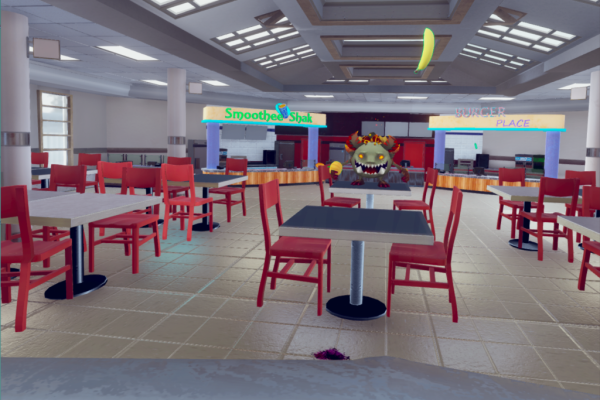 Initially, Food Fight needed a quick and simple environment for rapid prototyping. A set of 3D modular assets were purchased from the Unity asset store and brought into the game. The main menu took place in a cafe/kitchen-themed level, while all other levels took place in a set of levels that varied on the main menu design to different degrees. Some levels were in a single, open room with four walls, and other levels featured multiple rooms that divided the level into sections that the food goblin would spawn in and face the player. More difficult levels also had a height difference. The player would throw food from a balcony onto goblins below them. Simple food items were also needed for prototyping. With asset store food models, various fruits, vegetables, candies, and confectioneries were added to the food list. 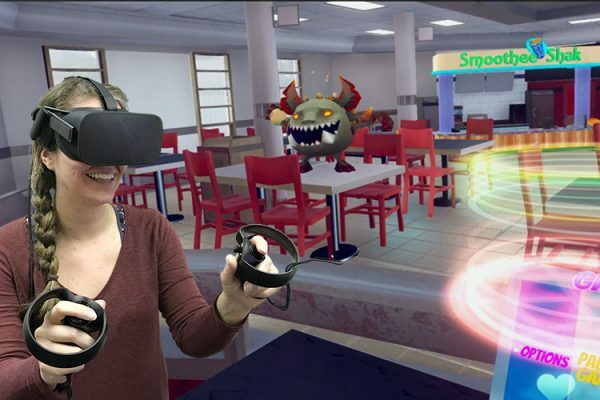 Although the environment and foods were needed to test and get a beta version of Food Fight on the Oculus store, the game was lacking realism. With a focus on diet planning and education, a more serious and realistic tone would need to be set. The environment and food items were low poly and too cartoonish for this approach. Our 3D modeler started churning out realistic 3D food and drink models every week. We began replacing the cartoon food items and ended up with a larger list of realistic food items. Next, we planned on revising the kitchen/cafe environment. 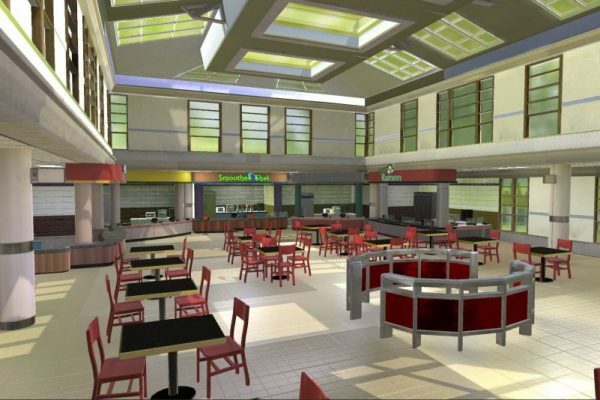 We settled with a mall food court, a familiar location that people struggle with good and bad food choices regularly. 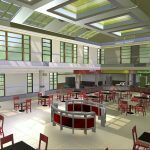 The food court would feature realistic lighting and completely custom models from the ground up. We ultimately decided to move over the entire game to the food court environment. 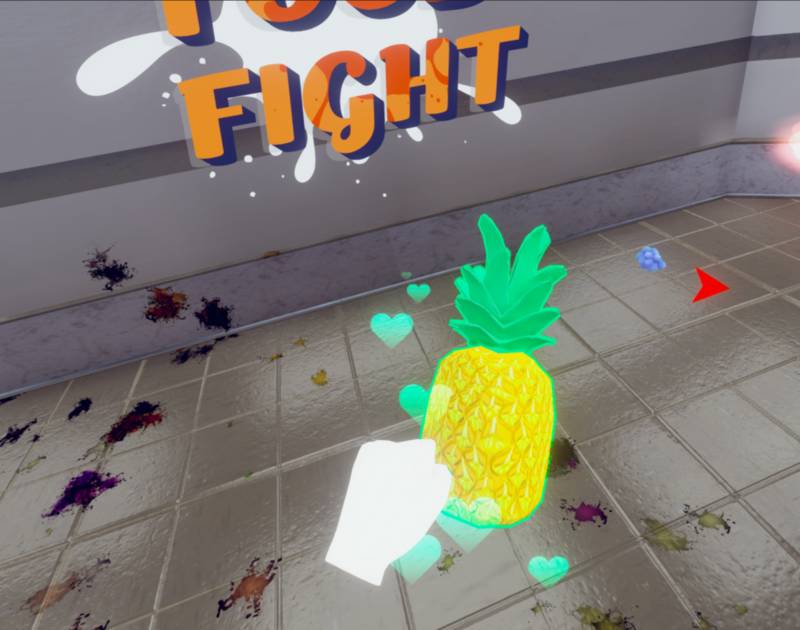 We took an iterative approach to Food Fight’s tutorial. 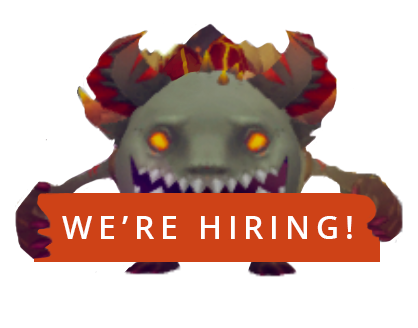 Initially, the tutorial was more of an afterthought, but after several demos and playtesting we made two large updates to finalize it for this recent update. First Iteration – This tutorial took place in the same cartoon kitchen that the main menu did. Players did not start the game with the tutorial. Instead, they selected it from the main menu. This tutorial used a floating canvas that gave players textual instructions on what to do next. As players completed steps, the text would update. 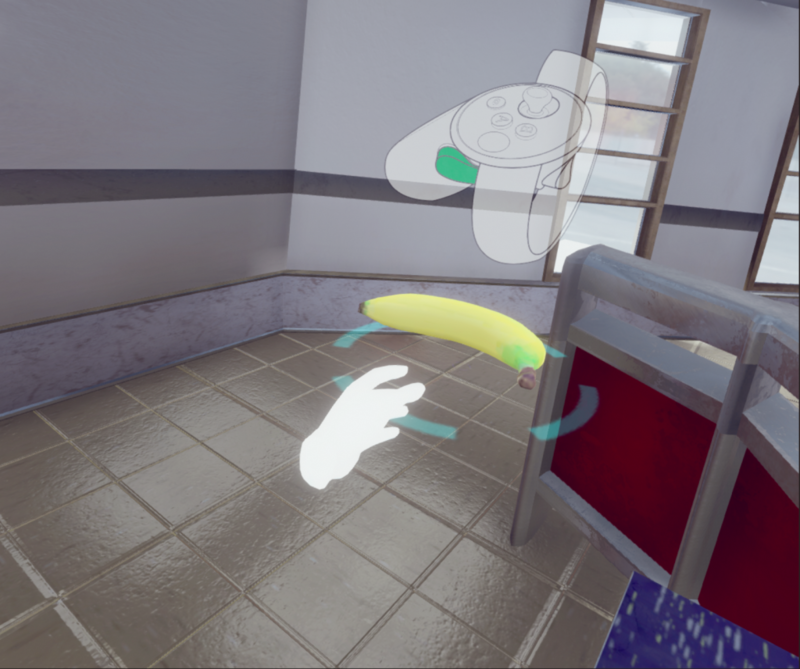 This tutorial taught players how to pick up, eat, and throw items. It also gave an introduction to the power-up system and the selectable wrist menu. This tutorial was meant more for a demo or presentation where the tutorial is optional. 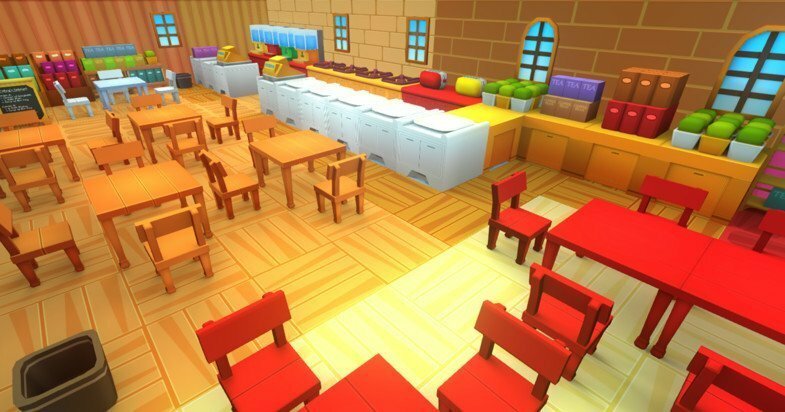 Second Iteration – The environment still used cartoony kitchen models, but was placed in a similar level to what is played in the actual game rather than the main menu room. 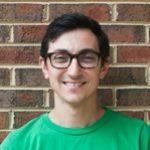 This tutorial lessened the number of textual instructions and instead used hovering images to convey interactions. The conveyor belt was also used here, even though it was scrapped later on. This tutorial was still only selectable from the main menu. 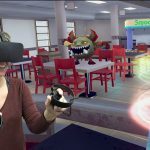 Third Iteration – All rooms, including the tutorial, was merged into the food court. Now, players would see the same environment for the tutorial and main game. Even less text was used here, and nearly all interactions were conveyed with pop-up images. The goblin was introduced, along with an explanation of how to swipe your visor when food splatters on it. All major interaction elements were covered. Iterative development with the tutorial led us to use less text to convey actions, making the learning process more natural and reducing the amount of localization that needs to be done. Additionally, with the tutorial in the same location that gameplay takes place, the player will familiarize themselves with the environment early on. In a game about healthy food choices, there are many approaches a developer can take. 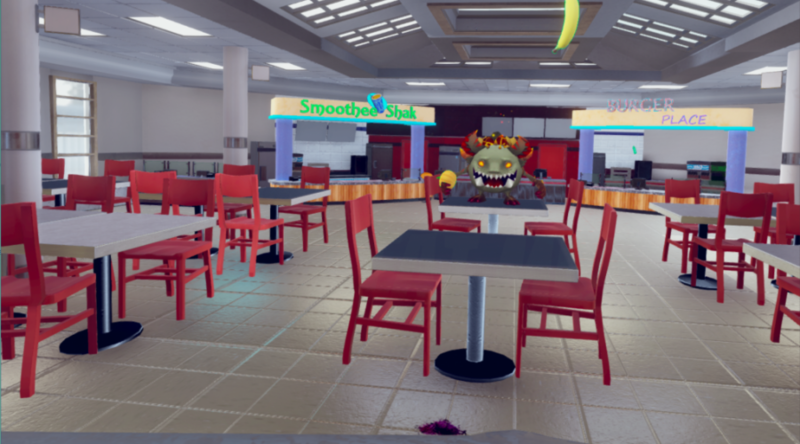 With Food Fight, we knew we wanted to build the game with diets in mind, but that concept was left on the table. In the beginning, we had healthy and unhealthy foods, and that was it. It was simple to split the foods into these categories because it was between healthy fruits and vegetables, and confectioneries that are unhealthy for you. We knew that we needed more variety in food options, so meats, beverages, grains, and other foods were added. We then planned an extensive update to the game that would add multiple diets that players could select from, thus affecting which foods were healthy or unhealthy in a level. Additionally, a pantry selection process would be added where players could select from all foods available in the game and keep/discard them based on their preferences. In the end, we didn’t go with the diet overhaul, but instead returned to the simplistic approach we had in the very beginning. There’s actually a lot of contention in the nutrition world and the health status of foods can be very ambiguous. So, we decided to remove most foods except for fruits, vegetables, candy, and confectioneries. Outlines and particle effects were added to each to denote whether they were healthy or unhealthy, thus removing the ambiguity. With Food Fight approaching its last update, we’ve taken a look back at what elements changed over time. To prototype the game, third-party assets were brought in, giving the game a low poly and cartoonish aesthetic, but that would be temporary. 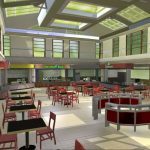 We then incorporated custom 3D models for food items and created a food court with improved lighting that became the game’s sole environment. Food Fight now looked dramatically different and more realistic. Next, the game’s tutorial began as an option in the main menu that was optional and meant for demos. It was text heavy and only covered the bare essential interactions. It evolved over time to cover all game concepts and used icons to explain the game rather than text. Lastly, we came full circle with our diet-based gameplay, starting with simple unambiguous food items. After varying the food choices and working towards a complex diet selection system for the game, we reverted back to simplistic foods for straightforward gameplay. All in all, Food Fight has been a fun experience to create. We’ve learned a lot about dietary science and nutrition, and we hope you have as well by following the blogs and playing the game!